Abandoned cart email is an email sent to a subscriber who added an item to the shopping cart but has not completed a purchase. It belongs to triggered emails. Marketers successfully use abandoned cart emails to drive more conversions, sales and “to inspire” passive clients. Can you imagine that 67% of clients abandon their shopping carts? It means that you sell three times less that you suppose. That’s why, abandoned cart email is a must in email marketing. It is stated by SaleCycle that half of the subscribers open their abandoned cart emails and a third of them follow the link to their cart. It may seem not much for you, but the result depends on the reasons why your clients leave and the technics you will use to create a good abandoned cart campaign. Abandoned cart email is a chance to recover, to remind the clients about your brand. Price. 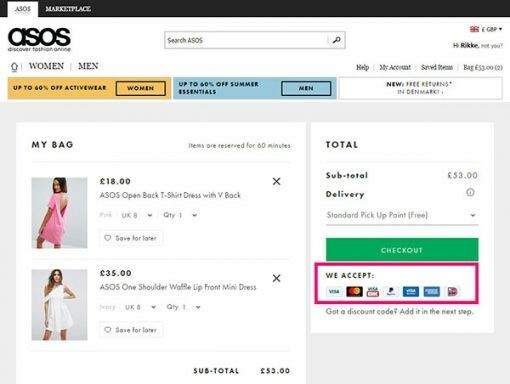 Adding items to the shopping cart does not mean for all the clients making a purchase at the end. Some of them are used to adding lots of items or to creating the whole look to find out the total price. Part of them may buy, part of them may be not satisfied with the price. Shipping costs. Shipping costs may sometime prevent everybody from buying, especially – goods from the abroad. Weight of the product or taxes may be crucial. Long and complicated checkout process. Some people are too lazy to pass it, some do not want to give too much personal information. Everybody is afraid of information leakage, that’s why, it’s much easier to find the same item elsewhere and, perhaps, even for lower price. Why should they spend too much time on a purchase? Technical issues. Problems with the Internet connection or technical problems on the website will surely prevent clients from making a purchase. Surely, they will put it on the back burner but they are not likely to remember about it later. Lack of time. This reason could be on the top of this list. Perhaps, a client wanted to buy a specific item, but while searching came across other interesting items. In the end, they did not have time for checkout and left. Payment options. Variety of payment options will make users not only choose the best one for them but trust you more as well. Big retailers always offer many payment methods. Cash on delivery is the most dependable and favourable method by clients. Suppose, once you were prevented from making a purchase due to one of these reasons. 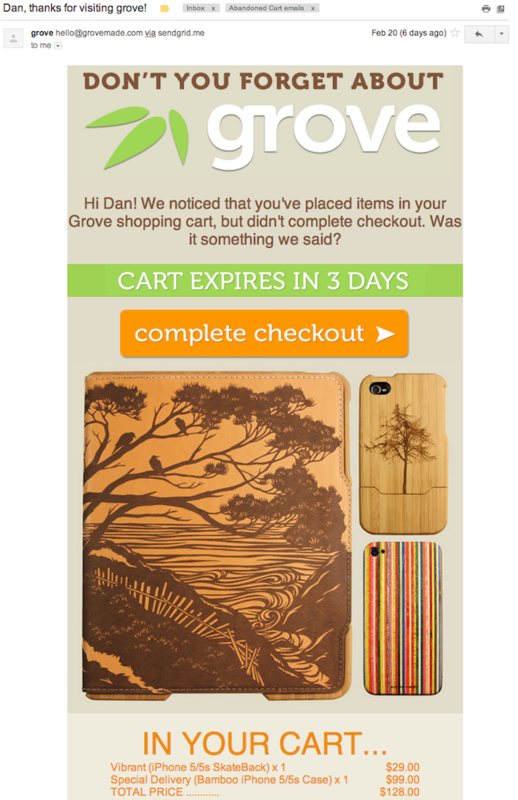 Well-created abandoned cart email will make a nice part of your clients complete their purchases. Be precise. Do not make your subscribers read much text to understand and remember who you are. Just write a couple of sentences to state your brand and remind about the item left in the shopping cart. Offer a discount. Due to the 1st reason of abandoned shopping cart, a discount is an excellent idea. You may reduce a price by 10% or offer a free shipping. Show that you care about your clients! Use personalization. It’s the easiest method in email marketing that allows your emails to be personal. Do not miss a chance to use it! Include reviews. A client may be afraid of buying an expensive thing and this is alright. We all search for true reviews and testimonials before making an order. Why not include them in your abandoned cart email? Inform on the total price. If your client’s shopping cart includes more than 1 item, add the information about each one to the email and the total price in the end. Thus, you’ll not only save your client’s time but show your care. Send in 24 hours. Do not postpone sending abandoned cart email, otherwise, a client may forget you and no longer need your product. The optimal time to send an email is within 24 hours after leaving the shopping cart. SendPulse allows to automate your email marketing. Recently, we’ve released a new feature – Automation 360. Automation 360 makes it possible to send emails, push notifications, SMS triggered by subscribers’ actions. This ensures automation and individual approach to every client. You can create an event based on the abandoned shopping cart, set condition, like if a subscriber purchased or not. You can count a purchase as a conversion, this way, you will be able to track the statistics of every your email. Read this step-by-step guide on how to send an abandoned cart email using Automation 360. Also searched with "Abandoned cart email"
Rate this article about "Abandoned cart email"
If you are interested in "Abandoned cart email" you might be interested in our bulk email service.